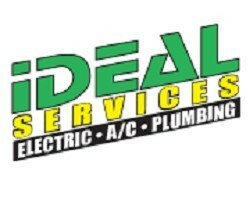 Ideal Services provides Free Estimates for Plumbing, Heating, Electrical, and Air Conditioning repairs in Henderson, Nevada. Call us today at (702) 396-5225 to schedule an appointment or request a free estimate on any Henderson A/C, Plumbing, Electric, Heating or Restoration need. Our friendly staff is available 24 hours a day to answer any question or schedule immediate or emergency service. We will give you an estimate in writing and repair your AC issues right on the spot.